#NewThisDay Blog 365 Happy Anniversary to myself! A friend on Instagram brought it to my attention - this lovely owl feather I found on the trail this morning might be turned into a fine pen after drying it out. As a writer, I suppose this should have spontaneously occurred to me - but I left the feather where I found it and took only this photo. Still, I'll accept it as a gift from the universe celebrating my one year anniversary of keeping this daily creative writing and nature photo blog. Here's the feature photo I posted on my first #NewThisDay blog, August 23, 2016. What magic! 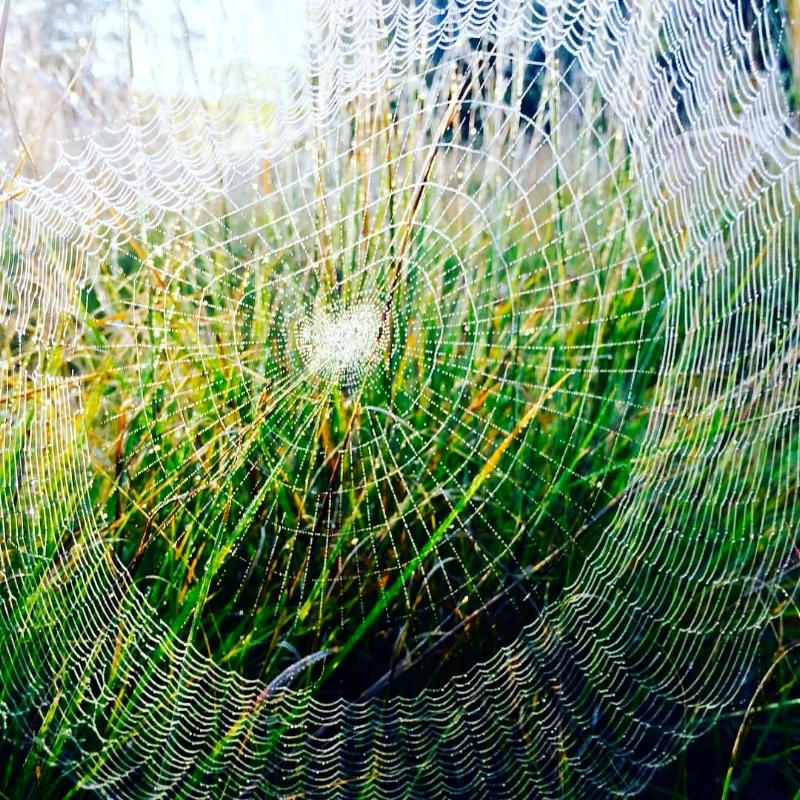 Looking back this morning, I'm so delighted by how spontaneously perfect it was to start this (web)blog with the picture of a stunning morning meadow web! If you want, you can read what I wrote in my first entry from one year ago. To see how it all began, go here.